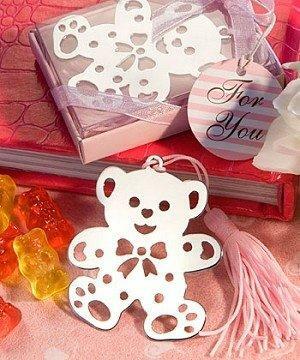 Here's a Book Lovers Collection bookmark favor you'll love to share, because it's shaped like a lovable teddy bear! Celebrate the arrival of your new baby girl with one of childhood's most loved friends – the teddy bear. And, your family and friends are sure to get a smile from this little character each time they open up a book and see him inside. There are currently 130 in stock.